A competition to find the UK’s happiest cat has been won by a kitty from Northampton, but life has not been all tuna and catnip for the winning feline. A national competition to find the UK’s happiest cat has been won by a kitty from Northampton, but life has not been all tuna and catnip for the winning feline. 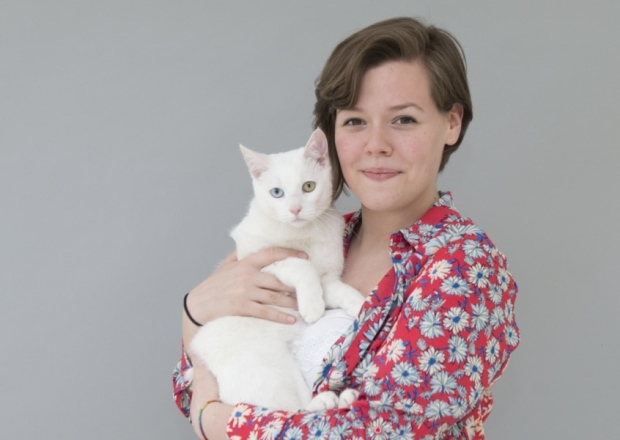 Jess Revitt’s cat Lucius was injured in a road accident earlier this year and was feeling pretty down during his recovery, yet he impressed judges at the competition put on by the O2 phone company and won the title. 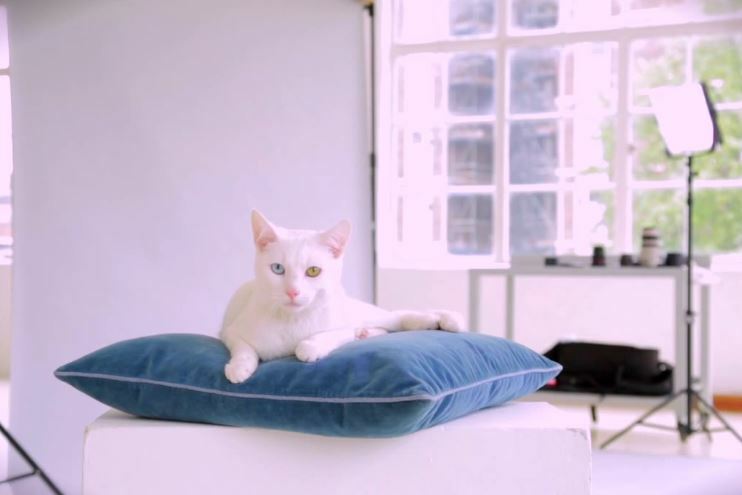 Lucius made it through a rigorous audition process with a judging panel that included celebrity cat lover Sarah Harding, who tells how Lucius impressed the judges in the video feature seen below. Lucius impressed the judges with his temperament and personality. His good looks, as a soft-furred, white kitty with two-toned heterochromatic eyes only added to his appeal. 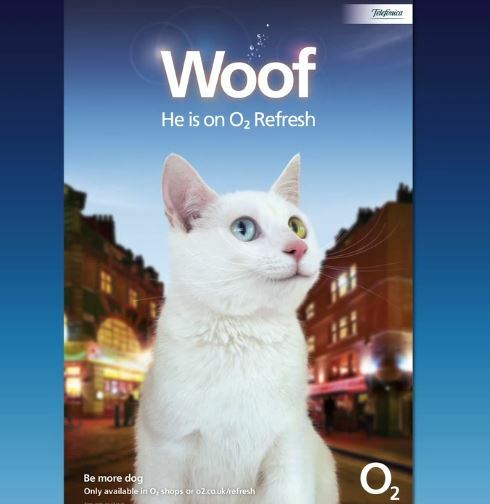 Lucius got a professional photo shoot and will be featured on digital billboards in an advertising campaign for the O2 Refresh service plan. Lucius will be seen on billboards at Holborn Eye and The Two Towers beginning today. Judges noted what they call Lucius’ dog-like personality, which seems a bit of a dis until it’s placed in context with the company’s Be More Dog slogan, which is employed in the campaign. More to his liking, perhaps, than billboard fame, Lucius will also enjoy a year’s supply of cat food as part of his prize. We should have that competition state side!